After receiving funding from the USDA/AMS Farmers’ Market Promotion Program grant, Rodale Institute embarked on the opening of two organic farmers’ markets in two food insecure and low-income neighborhoods in Allentown, Pennsylvania. During the planning of the markets, the model adopted for their operation was a traditional farmers’ market system, and was based on the collection of vendor fees and the attraction of sponsors to ensure the market’s viability. This traditional business model a farmers’ market proved to be challenging as it is highly dependent on guest traffic and vendor sales. Facing a variety of challenges, I looked to other examples of models and programs that other low-income and urban farmers’ markets were utilizing. 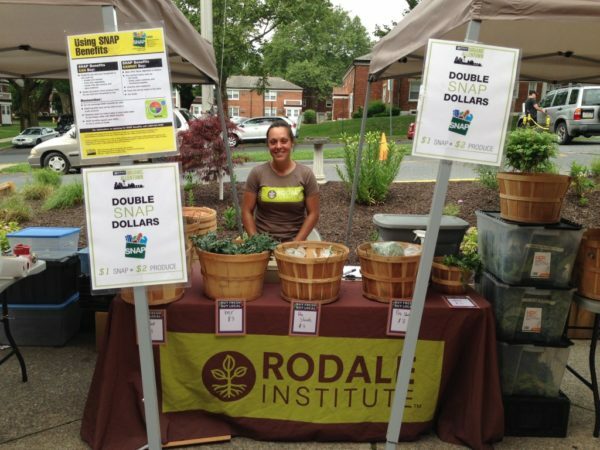 In the end, Rodale Institute was looking for a model that could be affective in distributing local, organic food to communities that were food insecure and, simultaneously, create entrepreneurial opportunities for local organic farms and businesses. After two seasons, the model evolved an organic farm stand and as a small organic Co-op or, some might call, a local, organic food aggregation hub. 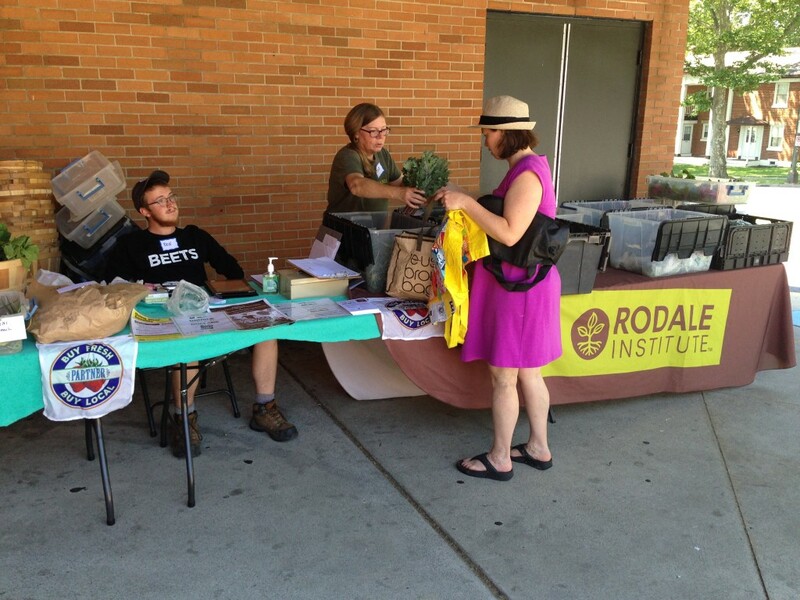 For the first season, vendor recruitment for our organic farmers’ markets went quite well. I had a concern with attracting vendors as the Lehigh Valley has a plethora of farmers’ markets. It seems that a new market or two opened every season. The competition to recruit and retain vendors was quite high, and the decision to waive farmers’ market fees was made to stimulate vendor participation. I was able to attract twelve businesses, two farms and ten businesses, to participate in our organic farmers’ markets. Our typical vendor was a very newly incorporated farm or business that was unsure of their ability to meet the volume of the busier suburban and city supported markets. There were two markets in operation; one located in the center city neighborhood of Jordan Heights and the second location at the west end of the city. 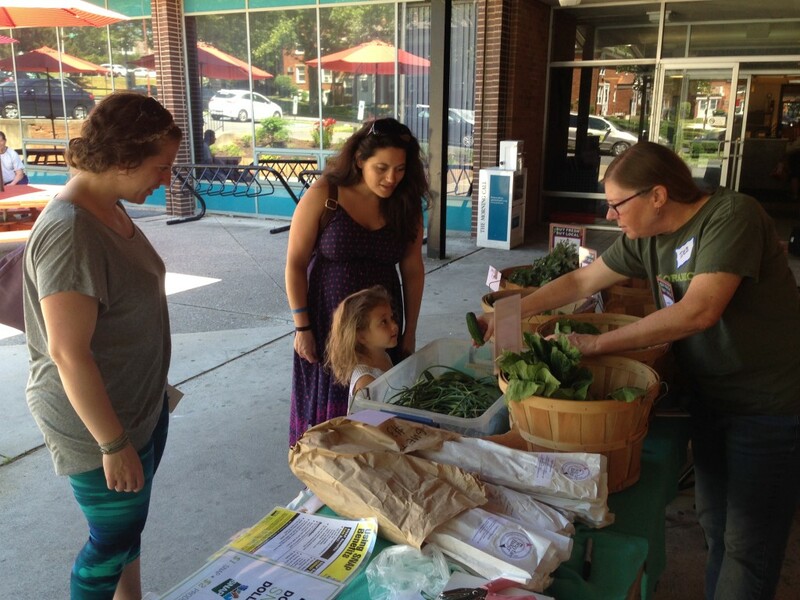 The market located near the center city almost immediately struggled to attract shoppers. I was able to build a consistent regular shopper base, but failed to increase our average guest attendance by a significant margin. Contrary, the market on the west end of the city had a strong opening season, but soon waned by the Fourth of July. It was at this point in the season that our vendors requested a meeting with me to discuss how to promote the market and raise sales. Vendors stated during the meeting that their sales were only about $100 per market day, and this amount of sales was not enough to sustain a presence the markets. A casual survey of farms and businesses at local farmers’ markets concluded that vendors were seeking anywhere from $1,000 to $5,000 per market. Our organic markets were simply just not coming close to their desired amount of sales. Unfortunately, as the season progressed to the lowest sales moth of September, vendors began to seek out other retail opportunities. For the second season, I knew that the vendor recruitment was going to pose a significant challenge. Only two of the remaining twelve businesses, one farm and one business, signed-on from the previous season. Our other vendors either joined busier farmers’ markets or decided to pursue other types of retail outlets like traditional brick and mortar stores. This prompted me to research other farmers’ market models that were being implemented in similar low-income, low-access urban settings. My research came across some communities that were facing similar issues regarding the attraction of vendors to their farmers’ markets. In these models, local non-profit organizations would find farms and businesses willing to sell to their products to the non-profit at a wholesale rate. The farmers’ market itself was organized by community volunteers, and they would transport the products to the market, set up the market’s tables and tents, and sold the products to the residents of their community with a marginal retail price increase. There were also examples of involving youth mentorship and development programs that assisted at-risk youth in the community as the farmers’ market workers. This experience gave them valuable work experience as well as fostering their entrepreneurial spirit. With lack of vendor participation, as the market manager, I decided to adopt this Co-op or small food hub model for our Organic Allentown Farmers’ Markets. Instead of recruiting vendors to physically be present at our markets, I negotiated wholesale rates for their products to resell at our markets. This satisfied our need to diversify the products offered at our farm stand/food hub, while taking the onus of the farm or business to commit time and resources that is invested in the set-up, vending and break-down of their booth or table. Another advantage of this model is the ability to further control the retail price. Affordability of product was a primary goal of the Organic Allentown Program, and I was able to control how high of a retail price mark-up would be placed on products. Many farms and businesses are seeking more outlets to sell their products, but many of these businesses have small, part-time staffs. With the amount of time and labor that goes into farmers’ markets, farms and businesses are not able to join as many markets as they would like. This local, organic food Co-op or small food aggregation hub addresses both issues by increasing healthful food access to low-income neighborhoods, while still supporting our local, organic farms and businesses. Instead of a market or farm stand funding itself through vendor fees and sponsorships, the market retains the profits from products sold. This model is particularly effective in low-income neighborhoods where the sales and guest traffic are not high enough for farms or businesses to justify the amount of time and resources to participate.